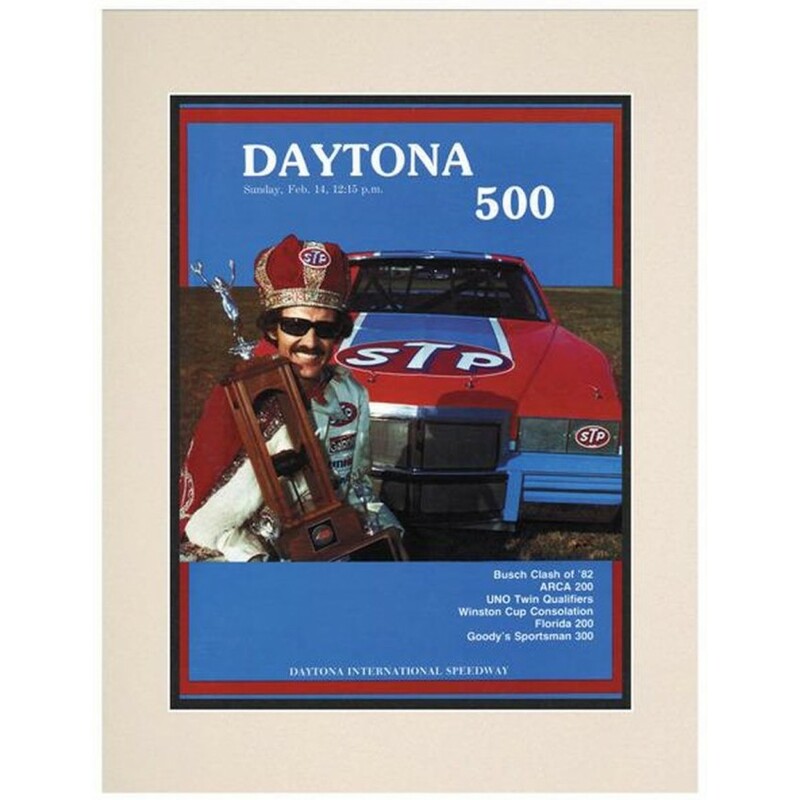 Celebrate Bobby Allison as the winner of the 24th annual 1982 Daytona 500. Here's the original cover art from that day's race program -- vibrant colors restored, alive and well. Beautiful 10.5 x 14 paper print, in 16 x 20 double matte. Suitable for readymade frames or hanging as is. Officially licensed by NASCAR. Overall dimensions 16 x 20. The California Bears Golden Classic basketball display case comes with a black acrylic base, gold co..
Savor the memories from that great game! Our deluxe football case and ticket holder fits a ticket up..
Machine-Made Tufted. 100% Premium Nylon Pile. Made in the USA! Villanova 3'10"x5'4" College Home Cou.. This jersey has been personally hand-signed by quarterback Peyton Manning. It is officially licensed..
Machine-Made Tufted. 100% Premium Nylon Pile. Made in the USA! Detroit Lions 10'9"x13'2" NFL Team Re.. The Ohio State Buckeyes logo display case features an antique mahogany finished base and a 1/8"-thic..